Many photos sourced from private collections that have not been seen before. We had to wait a while for this third volume in the series, but it was well worth waiting. We had to wait a while for this third volume in the series, but it was well worth waiting. 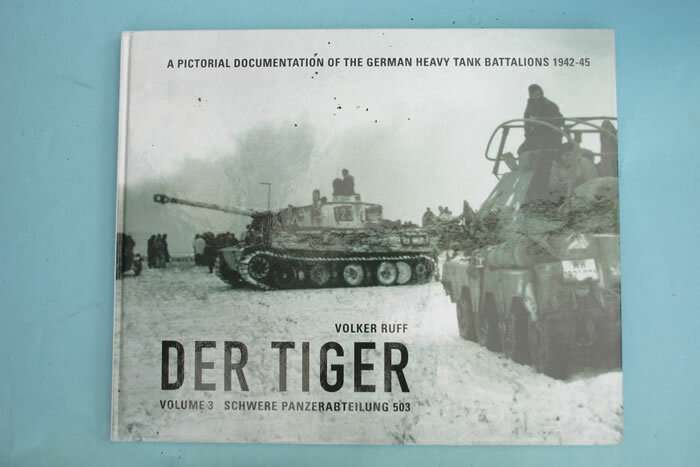 This third book deals with the Tigers and other equipment of SPzAbt 503 with a host of photographs plus bilingual English/German captions and text. A few of the photos are well known but couldn’t be omitted from a complete study like this, but many are taken from private collections and haven’t been published before. Quite a few were provided by former members of the Abteilung. Coverage begins with initial training beside 7 PzDiv, using 3 VK45.01 ‘Porsche’ Tigers. But higher command decided to use the Henschel design instead, so some crew familiarization had to be redone on the new vehicles after they were issued in late December 1942. In just a few days the unit was on its way to the Russian front, with only 2 Companies and a mix of Tigers and Pz III Ausf . The latter were formed into a Light Platoon for each Company and used as supports for the Tigers until enough Tigers could be delivered. The Abteilung stayed in Russia until June 1944, when it returned to Germany for re-equipment after losing almost all its tanks in battle. The new Tiger IIs were the Porsche-turret version, but only enough for one Company while the other two got Tiger Is. Once again the crews had only a few days to get familiar with their new mounts before being sent into battle, this time on the Normandy front. 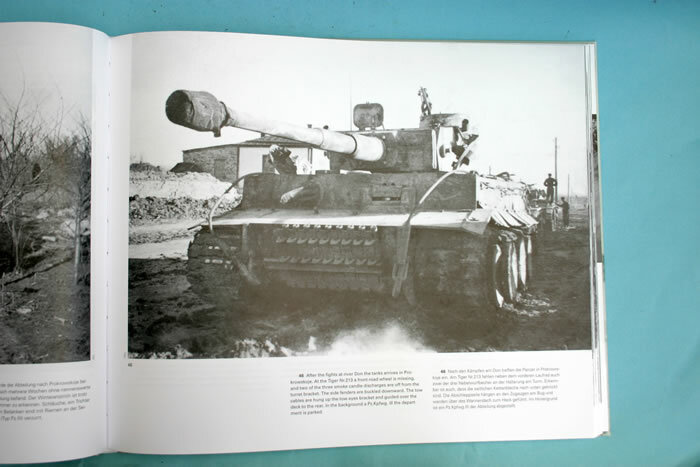 But the heavy bombing included in Operation Goodwood hit 3 Company so badly that it had to pass its tigers to 2 Company and move to Mailly-le-Camp to be re-equipped again. This time it received the ‘Henschel-turreted’ version. But by this time the fighting had almost reached Paris, and only a few Tigers managed to escape across the Seine. This meant yet another re-equipment, this time with just ‘Henschel-turret’ Tiger IIs and with the crews getting 3 weeks to familiarize themselves with the tanks. They were then sent to Hungary and more heavy fighting, but Russian attacks forced further retreats until the end of the war. All these movements are described in the text, and the captions are as detailed as possible. 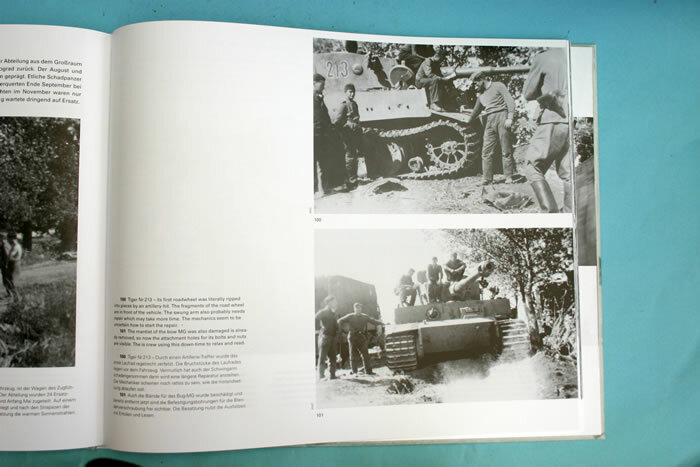 For instance, anyone wondering how Tiger II 233 came to be photographed in Budapest will find the answer here.